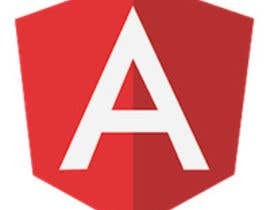 YOU WILL NEED KNOWLEDGE OF ANGULAR2, NODE.JS AND [login to view URL] OR BE ABLE TO UNDERSTAND PROJECTS THAT USE THESE. THIS WILL MAKE A GOOD FRESHERS PROJECT AS I HAVE ALL DAY TO BE ABLE TO GO THROUGH EVERYTHING IN THE CODE IN DETAIL BECAUSE I TOO WANT TO UNDERSTAND AND BE ABLE TO AMEND MY PROJECT IN THE FUTURE AS I LEARN NEW SKILLS MYSELF. I'm a new developer and have a knowledge of the basics, I think an expert could do this easily from various github projects which I can share. It would really then just be the design needing worked on. I have 7 components to be made and 1 service, I think that need to be built in Angular2! NOT PHP! NOT PHP NOT PHP!!!! 1. Navbar component with logo and another child component with an "Account Balance" which should be the sum of the "Amount" in the "UserMember" collection in MongoDB. 3. Photo gallery component - this should come form the Amazon cloud storage where there is a folder for each username. 4. Videos gallery component - this should come from the Amazon cloud storage where there is a folder for each username. 5. Videochat component - This is only shown if the user is transmitting. If they are not it should be hidden. This is basically a live video stream which is streaming to an RTMP Adobe Flash Media Server. It should be a flash based encoder. 6. Text based chat app - This is a text based chat where other users can enter the room and chat. Its been designed in SOCKET IO as the chat server. 7. List of registered users shown as avatars and and their username underneath - this should be taken from the UserMembers collection - just a listing with a page move 1 -10 or something at the top and bottom to move to the next list of users. The users will be toggled between offline and online but we can do that at the end as that is just a set of filters and conditions to apply. 8. 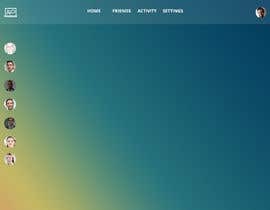 The Service - Basically I want "Account Balance" to be constantly updated as a service available to the DOM every second. Every users account balance should be refreshed. I have basically all the project files but someone has to piece it together or they could just start a project themselves and pull together the files they need themselves. Whatever, keeps the costs low. Attached is a wire outline.